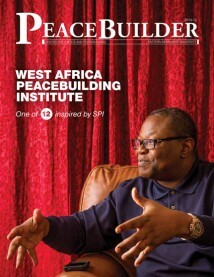 As of July 1, 2013, Bill became the director of the Summer Peacebuilding Institute. He has worked at Eastern Mennonite University for 13 of the last 14 years. Valerie left CJP in July 2013. She joined the Center for Reconciliation staff at Duke Divinity School in January 2015. She is now Program Coordinator, Summer Institute for Reconciliation.